What precisely is SAPUI5, and how to make perform fast? For any business, ease of access is crucial. As SAP applications are significantly used by many companies, these applications happen to be accessed regularly which has potential impact on business strategy. SAP is always committed to enhancing the performance of their applications and invests millions of monetary terms in Research and Development annually. SAP HANA is now considered to be the cutting edge technology for all SAP applications as they have inbuilt architectural advantages over the traditional database systems. SAP has released SAP BI on SAP HANA, SAP Business Suite on HANA, and SAP S/4HANA. SAP S/4HANA is the next generation business suite where it has the capability to process large volumes of data in real-time with its high processing power. SAP S/4HANA’s performance is based on comprehensive design elements such as in-memory data storage, cost-based optimizer, and efficient query execution components. It demands data to be managed through more sophisticated methods to achieve exceptional performance. As the recently deployed SAP S/4HANA is extremely fast, now the concern is SAP Fiori. When compared with the rest of the system, Fiori Tiles are very slow. It shows that most of the Tiles are constantly recompiling and this happens while testing Fiori Access with one single business function. But they shouldn’t be slow and they don’t need to be slow. In this blog you find tools to determine performance bottlenecks and some options for addressing them. SAP S/4HANA authorizes business organizations to enhance the business processes through analyzing enormous data volumes. It is viewed systematically to calculate and aggregate the data which is required to consistently accommodate the demands of the storage architecture. 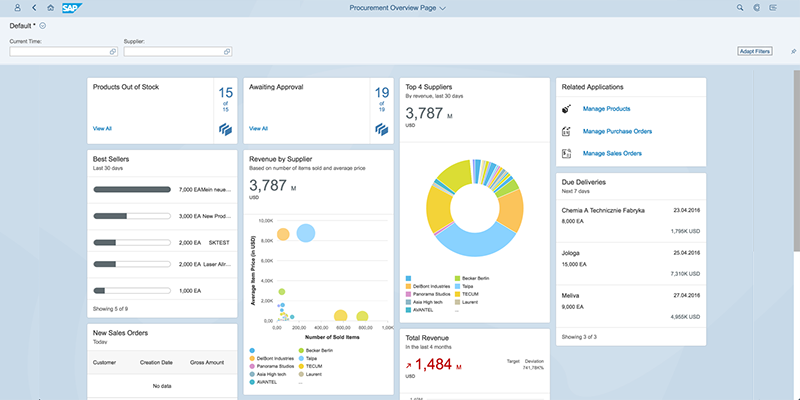 SAP S/4HANA provides Online Transactional Processing applications(OLTP) and Online Analytical Processing applications (OLAP) in real-time. This processing deliberately uses actual transaction data set to perform complex analysis and calculations. Due to this situation, behavioral changes may occur while using such applications. It is highly recommended to have Performance Testing on SAP S/4HANA applications which assure the application to respond effectively to a growing number of business customers. During the last few years, it has been seen the introduction of several new SAP UX solutions, targeted to provide uniform user experience across devices, improve productivity and simplify UI development. The new breed of UX solutions based on SAPUI5, Screen Personas, Fiori and the SAP Web IDE all have been widely accepted by SAP clients. Since June 2014, SAP Screen Personas and SAP Fiori are available at no separate charges, which is a good opportunity for the clients to modernize user experience, increase adoption, improve usability features on any device and improve productivity. SAPUI5 is an advanced scaffold for building Web applications on the SAP platform. Applications can be built using SAPUI5 that connect to any type of back-end system or can run any type of browser directly. However, the main objective of SAPUI5 was to develop an application framework for use in SAP environments. Hence SAPUI5 is always considered as a part of the user interface technologies in SAP HANA, NetWeaver ABAP or any Java based applications. SAP Fiori is one such product line which has a device skeptic User Interface. According to SAP, SAP Fiori is the company’s predominant UI model where it can be applied to wide range of technological domains such as Supply Chain Management, Customer Resource Management, and Enterprise Resource Planning. SAP Fiori UX is the new dimension of SAP for users present across all business lines through mobile devices where it provides optimal flexibility for business interactions. SAP Fiori recreates the SAP user experience with responsive design to make it reliable across device deployment options. In a role-based design, users would get only the data and its transactions when they are in need. But when combined with analytical and transactional applications, SAP Fiori supports the users to reach new levels of productivity and efficiency. Roles: Assign only the necessary roles since the number of tiles on the Fiori lauchpad shall affect the performance. Static App Launcher A standard tile that displays static content. You basically configure a title, subtitle, and an icon. Dynamic App Launcher A tile that displays data that is updated at regular intervals. The data is retrieved from a backend system using OData services. Custom App Launcher If the standard app launchers are not what you need, try configuring a tile with a different look and feel by selecting the Custom App Launcher tile type. In this case, you can customize your tile by selecting different background colors, or choosing from a variety of icons, placing them in different areas of the tile, and so on.Typical use cases: for comparison charts or bullet charts. News Displays a news feed alternating between messages according to how you configure the tile. Only used for the News app type. KPI Displays Key Performance Indicators (KPIs) on a tile in real time.Example: Used for KPI tiles created in SAP Smart Business. Such Web apps should be developed based on the SAP design guidelines where the users would not raise on the slow performance of opening the app. But ultimately, the fact is that Web-based applications like Fiori Launchpad due to their nature of technical architecture might be considerably slower than any native applications. It has been observed that the Roundtrip times are high in a 2G and 3G network connection whereas the Roundtrip times are comparatively better in a 4G and a Wi-Fi connection. 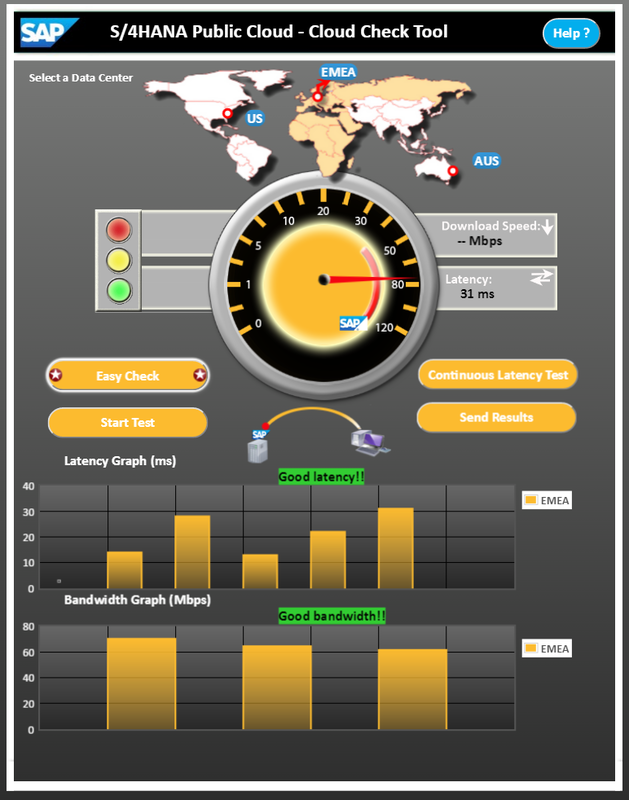 How can you measure your latency and bandwidth from your location to SAP data centers? 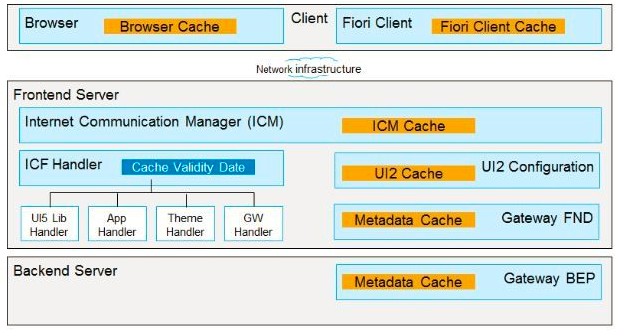 Cache is one of the most important element of Fiori performance. It is recommended not to run Fiori Launchpad(FLP) in a private mode as FLP is not taking advantage of the browser static cache and hence performance may suffer. Always use FLP not in a private mode to take the advantage of browser cache. To maximize performance of SAP applications especially Fiori, we need to understand how cache impacts the performance. When you run a Fiori application, resources are loaded to cache in each layer. When you run the application next time, the resources will be called from cache and the performance will be improved tremendously. Resources in the cache are only reloaded when a new version is available. Rather than simply limiting the time a resource may remain in the browser cache, the system invalidates the cache only when resources are updated on the server. To access the Developer Tools, open a web page or web app in Google Chrome.Select the Chrome menu Chrome Menu at the top-right of your browser window, then select Tools > Developer Tools. The Developer Tools window will open at the bottom of your Chrome browser. 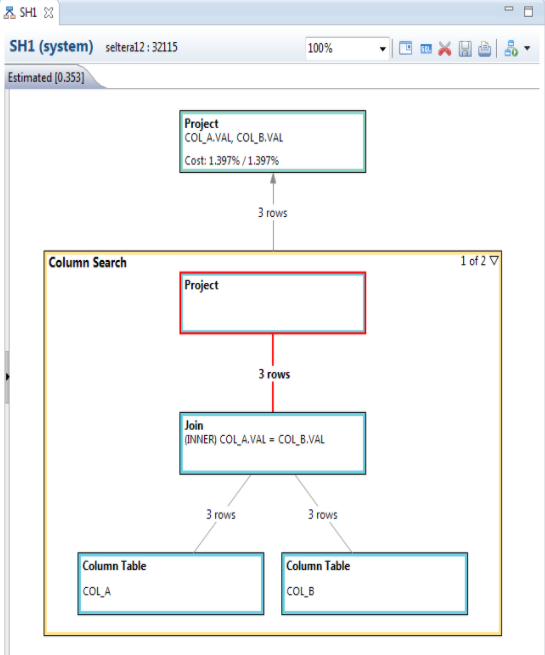 Provides the developer the ability to analyse database select statements. Hence with such tools available in SAP, the performance at different layers can be checked and the performance of the SAP applications can be improved. Performance for any application is critical and with the growing demand for cloud applications, delay in every sub second is going to cost more.